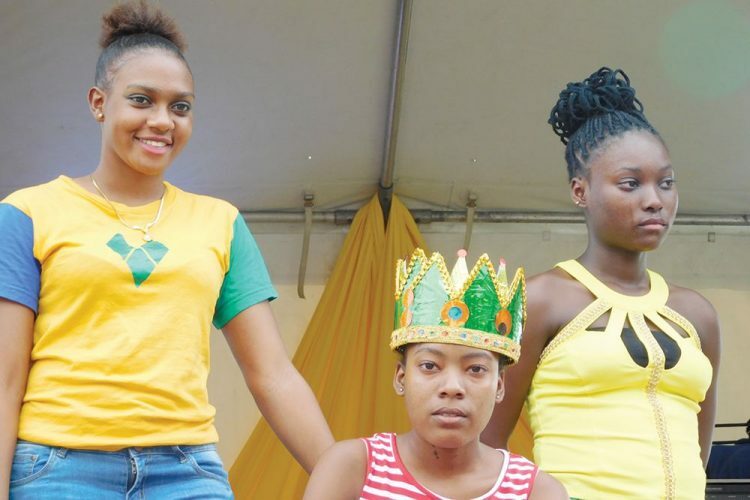 Delisha âSoca Dâ Brackin, of the Sandy Bay Secondary School, has been crowned the winner of the Climate Change Secondary Schools Calypso Competition. The competition was held last week Wednesday, 25 October at Victoria Park after the Schoolsâ Independence Rally. Along with the title, Soca D won EC$3,000 with her song âGlobal Warmingâ and was in tears when she was crowned. Coming in second was student of the Thomas Saunders Secondary, Kristiana âSinging Kristyâ Christopher, who won EC$2,000 with her rendition of the song âClimate Change and Weâ. Third place went to Ladonna âSinging Lalaâ Free from the West St George Secondary School, who took home EC$1,000 with her song, âAll of Us Canâ. The event was a collaboration of the SVG Calypso Association, the SVG Red Cross and the Ministry of Education, in which 10 young calypsonians from six schools competed. Other participating schools were the Girlsâ High School, the Intermediate High School and the North Union Secondary. Earlier that day, at the Schoolsâ Independence Rally, students were asked to do things that would help to make the country a better place to live. Minister of Education, St Claire Prince added that we should put aside our differences and make the nationâs goals our own goals. He asked that we show compassion and respect to each other and work toward these goals diligently. The rally, which flowed smoothly, included brief speeches from officials, performances from different schools in song, dance and musical items. Students who performed exceptionally at their studies received their awards. The awardees, who were smartly dressed, were all smiling to receive the fruits of their labour. Darron Farrel, Teron Pope, Dorien Antrobus, Ariel Lewis, Shania Leslie and Justine Farrell received bursaries of EC $20,000 each for three years. Kamla David, Akeem Muhammad, Arielle Roberts, Tahleze Marksman, Donley Stapleton, Toni Pompey and Rhaine Williams were the winners of three-year exhibition awards and those receiving five-year national scholarships were Kayenna Bullock, Lashontae Shepherd, Jeremiah Augustus, Kadeem De Shong, Milieko Edwards, Che Grant, Shannique Alleyne, Christian Friday, Alexcia Burgin, Chrislon Fraser, Mikhailla Matthias, Michaela Miguel, Daree Myers. Abigail Scott, Thande Myers and Kairel Edwards tied for first place and received the Prime Ministerâs award, which entitles them to a five-year university scholarship, as well as $10,000 and a medal.